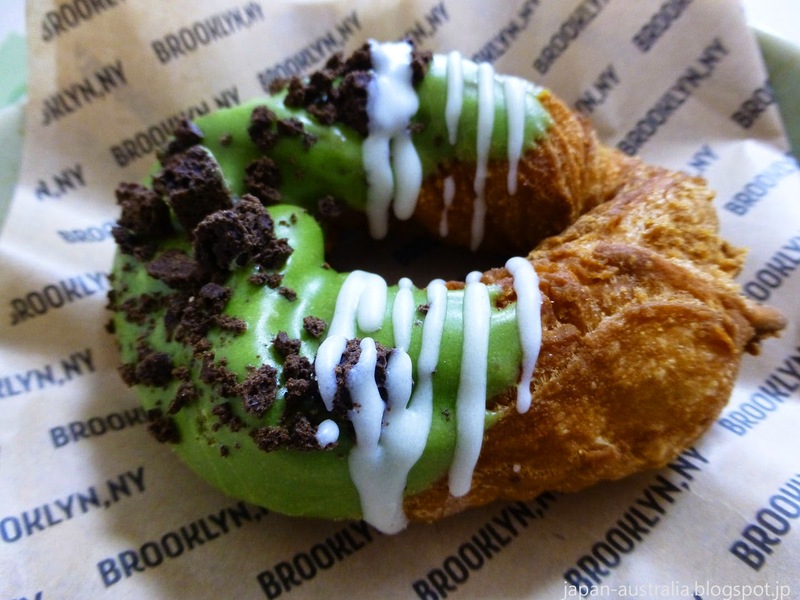 Mister Donut Japan recently released another addition to their every growing Brooklyn series of hybrid sweets inspired by the hip, cool eateries of Brooklyn, New York. 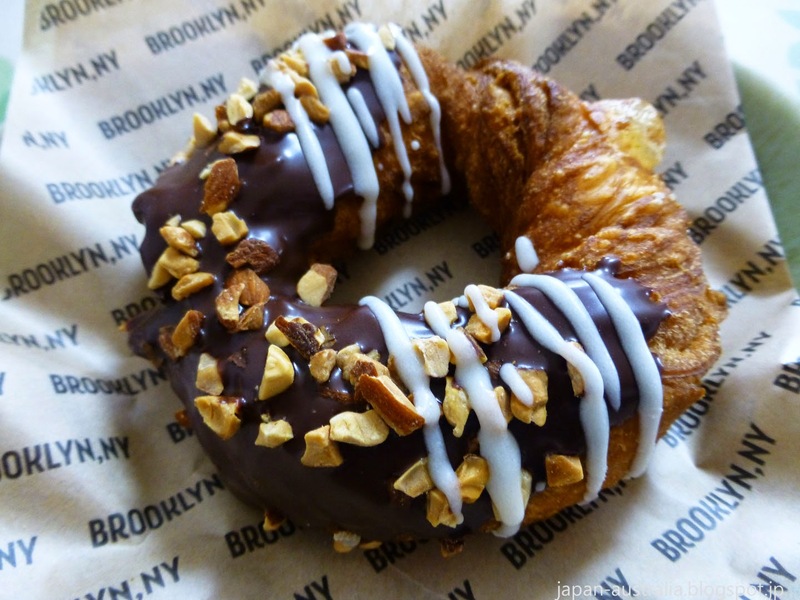 The new donuts are called Brooklyn Merry-Go-Round and feature a donut which uses both cookie and bagel dough. It is certainly an interesting idea and got our attention. The donuts went on sale from April 9th and cost 172 yen (USD$1.45). There are four donuts that form part of the new line-up and they include Green Tea Brownie, Caramel Almond, Chocolate Nuts and Plain with Maple Flavoured Syrup. 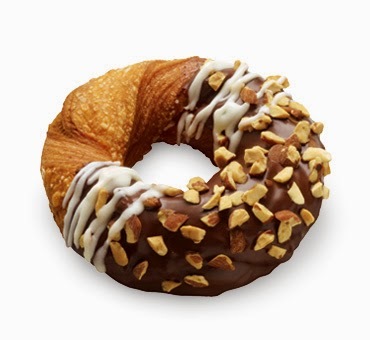 The latest pastry offering is a further shot from their cannon to deal with the rising threat from convenience stores who have entered the donut market in Japan. The donuts follow on from their previous offering last month of pizza donuts called Pizza Cioccolata Donuts. 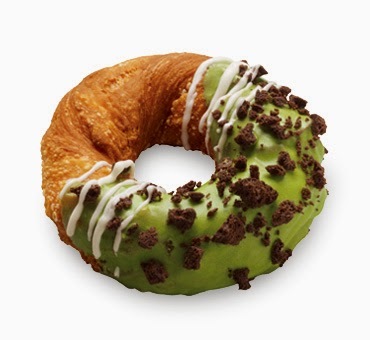 The Green Tea Brownie donut features a green tea chocolate donut topped with delicious chocolate brownie. 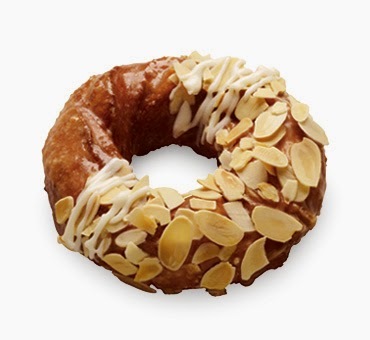 The Caramel Almond donut features a caramel glazed donut with slices of almonds. 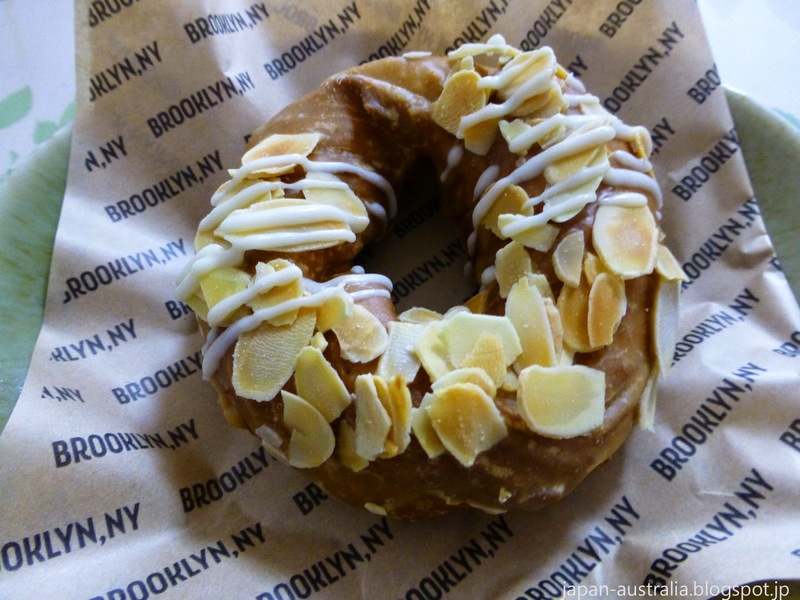 The Chocolate Nuts donut features a chocolate and white chocolate donut with nuts. 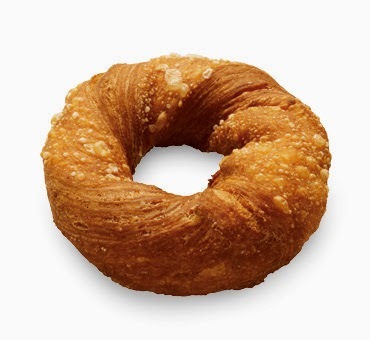 The plain with maple favoured syrup donut is made to highlight the cookie and bagel dough with the flavour boosted with maple flavoured syrup. Japan Australia just had to give these a try so we headed straight for our local Mister Donut. We picked up a Green Tea Brownie, Caramel Almond and Chocolate Nuts as these to us sounded the best and tastiest. The Green Tea Brownie donut was just right and not too sweet. We really liked the chewy texture from the bagel dough but also the crunchy texture from the cookie dough. It was a winner of a combination and definitely worth a try. The Caramel Almond donut was a lot sweeter than the green tea brownie but it was a good level of sweetness. This was our favourite of the lot with the caramel and almond making a nice combination. The Chocolate Nuts donut was the sweetest of all three we tasted. It was a little too sweet for us but we did like the extra level of crunchiness created by all the nuts. The icing was also really tasty with chocolate and white chocolate icing. 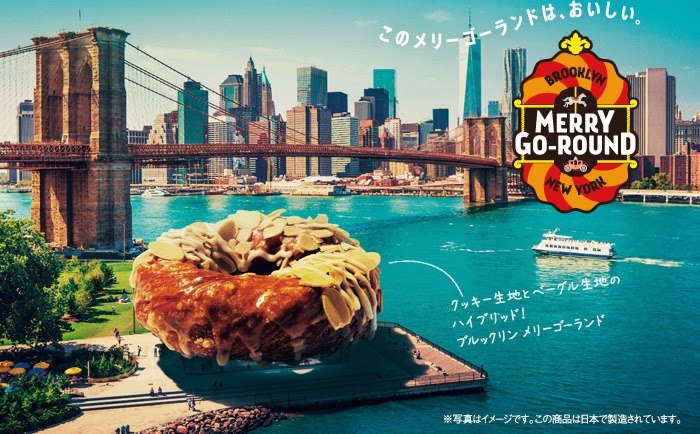 The Brooklyn Merry-Go-Round Donuts will be available for a limited time at Mister Donuts Japan. Hurry on in if you want to give these tasty treats a try.